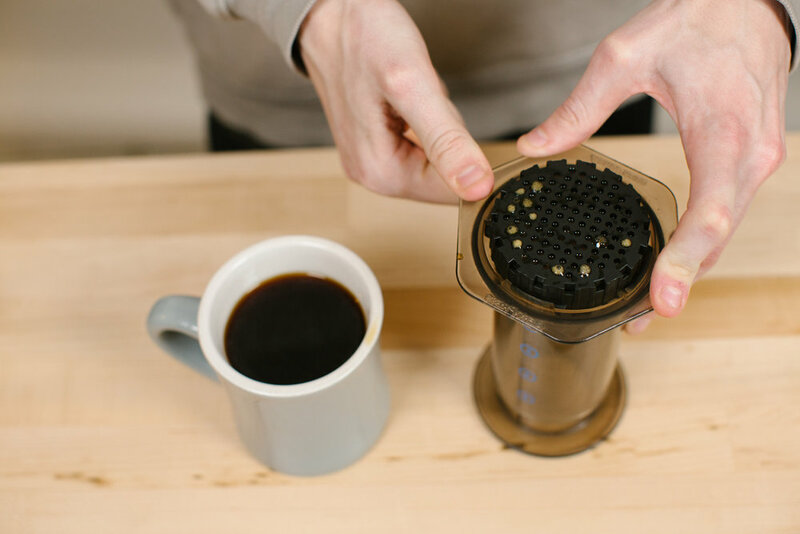 Aeropress — Backyard Beans Coffee Co.
1.Boil your water while you get everything else set-up. 2. 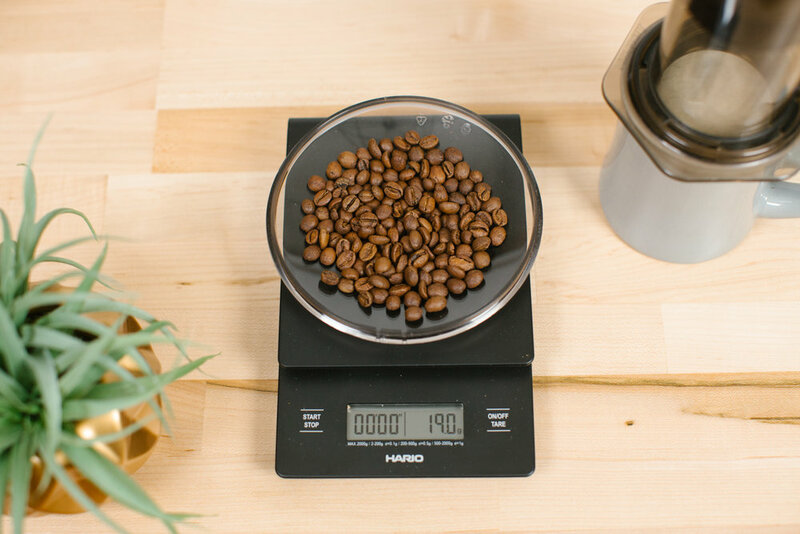 Weigh out 19g of coffee, about 3 level tablespoons. 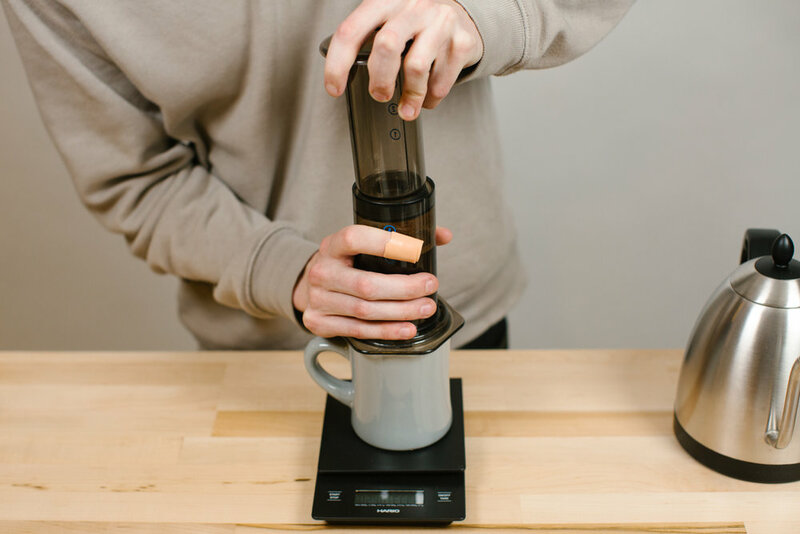 Grind it fairly fine, finer than drip but not as fine as espresso. If it is too hard to press then your grind is too fine. 3. 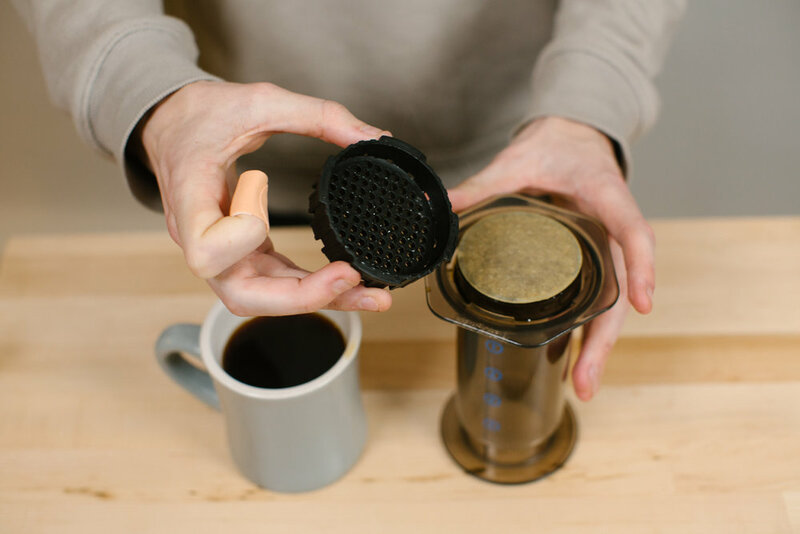 Apply the filter and cap onto the chamber with the plunger removed. 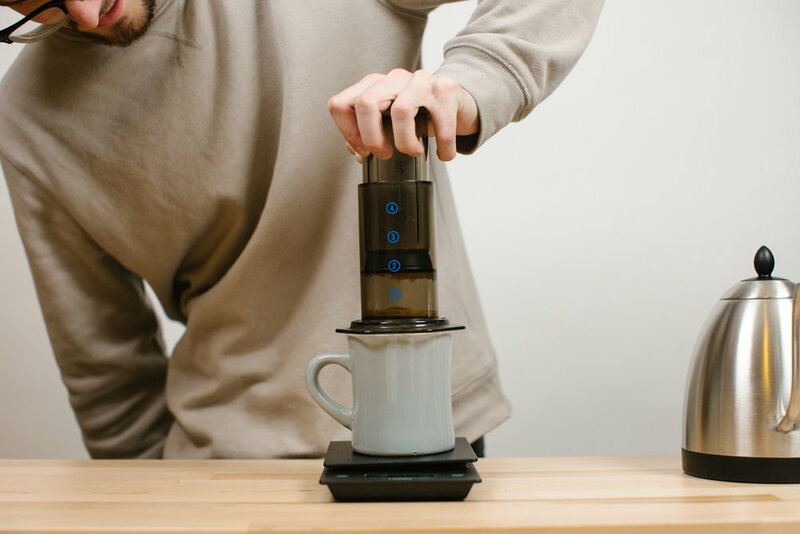 Place chamber on top of mug or carafe. 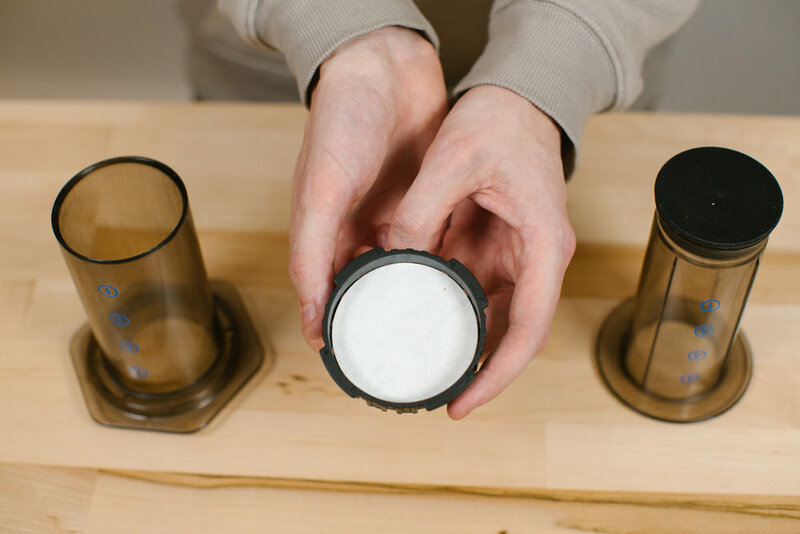 Rinse out with hot water to get rid of any papery taste from filter. 4. 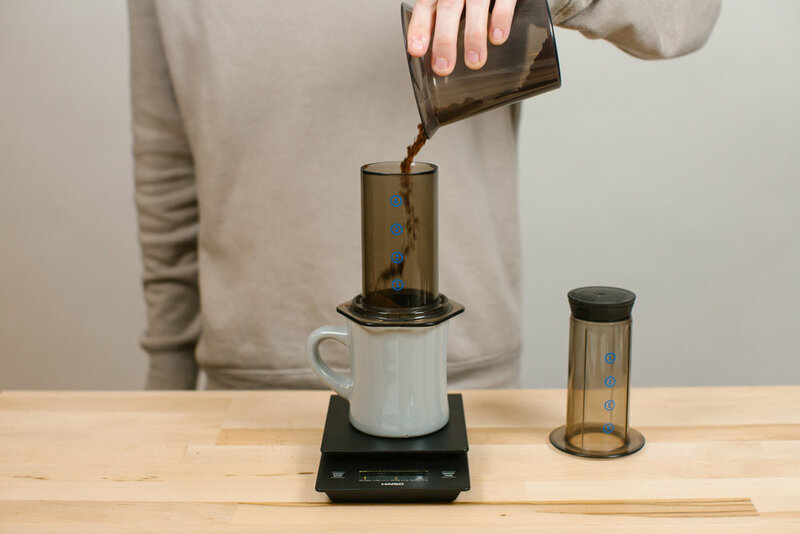 Place the set-up on top of a scale, add the ground coffee, and tare the scale so it reads “0”. 5. 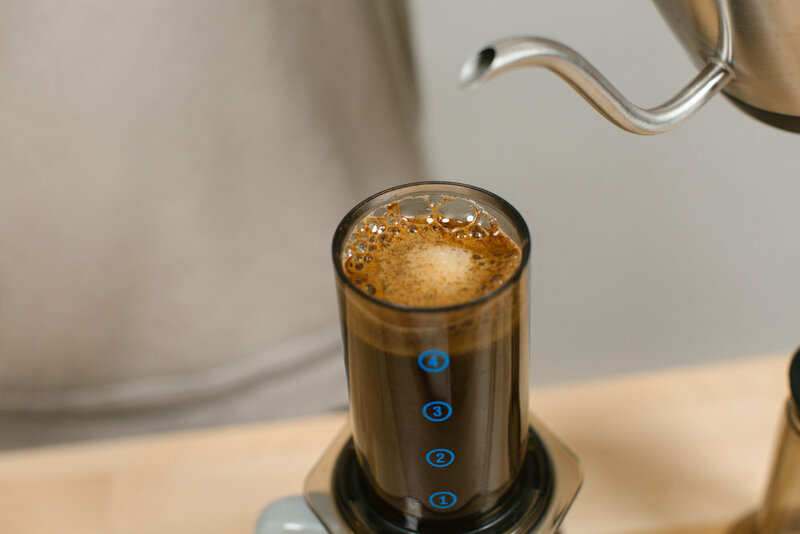 Start a timer and add your water that has been resting off the boil, fill halfway and stir 5 times. 6. 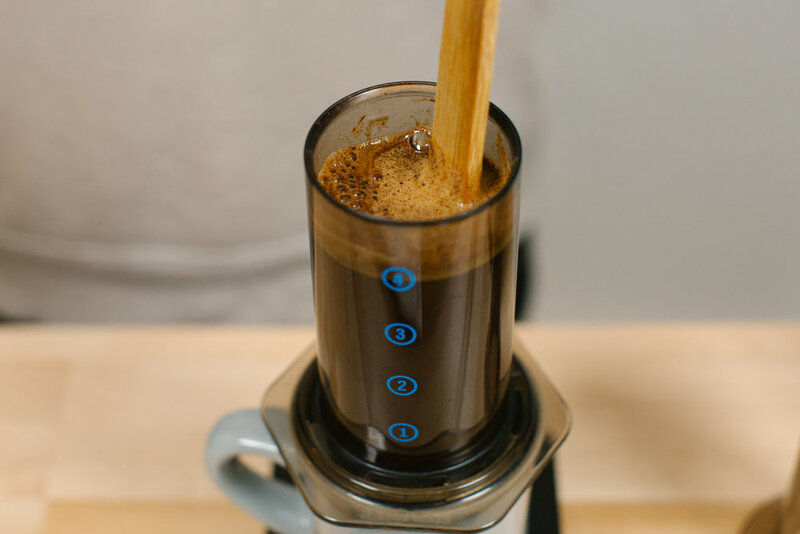 After stirring fill water to 270g and apply plunger. 7. 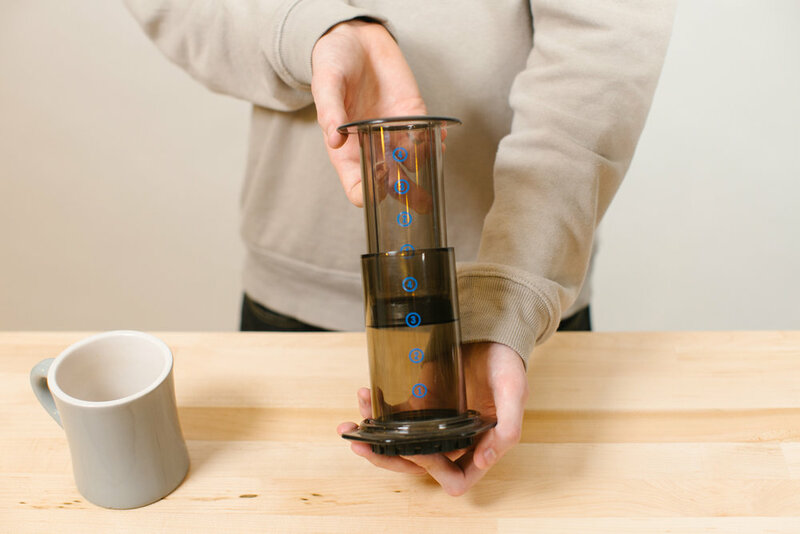 At 1:30 remove plunger, stir 5x, apply plunger and press. 8. The press should take 20-30 seconds and you should feel moderate resistance as you press down.